This is the complete Module 1 of Trader Dante's Special Webinar series (as of November 2016), which includes an overview of his swing trading strategy. If you don't know who Trader Dante (aka Tom Dante aka the_wizard) is, you can check out his website, follow him on Twitter, or browse his threads on Forex Factory and T2W. I bought this myself, so please do not make this available outside of our community. Enjoy! 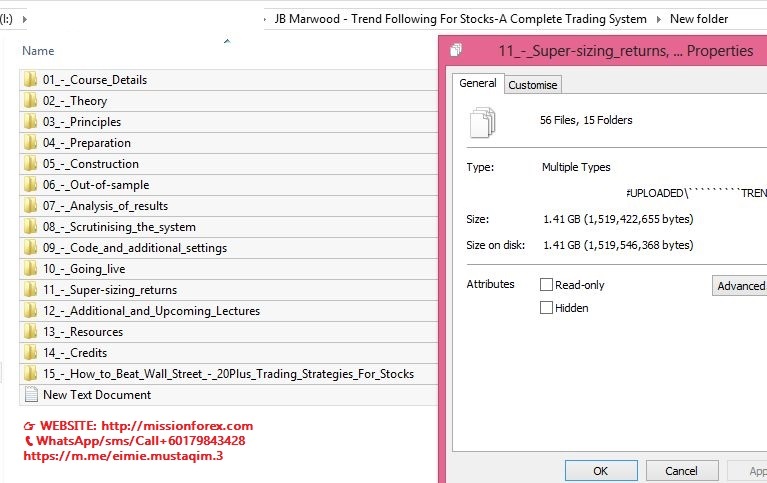 This is the complete Module 1 of Trader Dante’s Special Webinar series (as of November 2016), which includes an overview of his swing trading strategy. Each of these special webinars covers an element of my trading strategy, or the business of trading, in detail. The material in each one can be understood and implemented, independently of the others. This is true even of the webinars that fall in two parts. As a result, a trader can view a single webinar to understand how I trade a particular setup or approach a key concept. They may then ensure they can both understand and implement the material before moving onto other webinars. financial markets and how I make money from them.